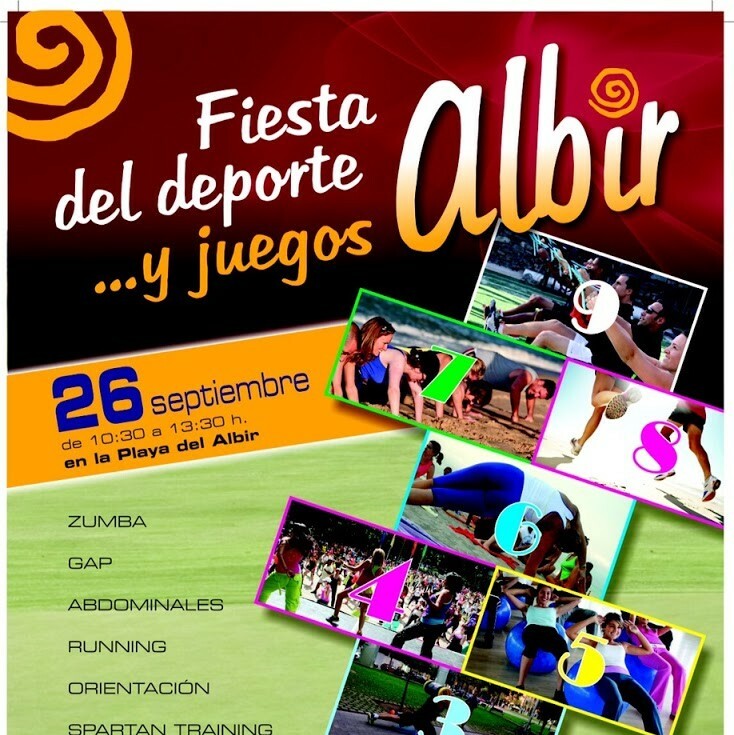 EL PRÓXIMO SÁBADO 26 DE SEPTIEMBRE DEL 2015, DE 10:30 A 13:30, EL AYUNTAMIENTO DE L´ÀLFAS DEL PI, GIMNASIOS CORPORE Y LA ASOCIACIÓN CUIDEMOS EL ALBIR, ORGANIZAN LA PRIMERA FIESTA DEL DEPORTE Y JUEGOS PARA TODA LA FAMILIA, EN LA PLAYA DEL ALBIR, JUNTO AL ANCLA. COMO ACTIVIDADES HABRÁN CLASES DE ZUMBA, (BAILE) GAP (GLÚTEO, ABDOMEN Y PELVIS), ABDOMINALES, RUNNING, ORIENTACIÓN, SPARTAN TRAINING (MULTIDEPORTES EN PISTA), PILATES, CIRCUIT TRAINING Y AEROBIC, ASÍ COMO MUCHAS SORPRESAS. LA ASISTENCIA ES GRATUITA Y PARA TODOS LOS PÚBLICOS. CUIDEMOS EL DEPORTE, CUIDEMOS EL ALBIR.